With the backdrop of spectacular growth of the number of players, improved quality of plays and resultant increase in the number of fans for women’s baseball in Japan, the newly organized “Women’s Baseball of Japan” was launched on April 1, 2014. The new organization is responsible to govern entire categories of women’s amateur baseball in Japan: High School, University and Club Associations, and Kazuo Hasegawa was appointed as President. In spite of the remarkable achievement, Hasegawa commented in a low key attitude that women’s baseball is still in the developing stage and needs every support they could get but pledged that he will do everything possible to develop women’s baseball in Japan. Hiroko Yamada, a member of Women’s Development Commission of IBAF, is Secretary General of the new body and Megumi Kitta, an Athletes Commission member, is one of the board members. 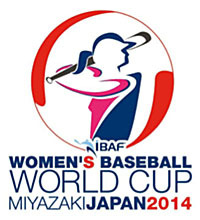 The current Women’s Baseball Association Japan (WBAJ), an NPO, will be dissolved at the end of March, 2015 after attending the backlog of accounting and other administrative matters.